Beautiful home located on 2 acres of land in a very peaceful cul du sac. Recently upgraded with: new granite and appliances in huge kitchen, house freshly painted, new carpet in almost every room and new hardwood floor in Family Room. 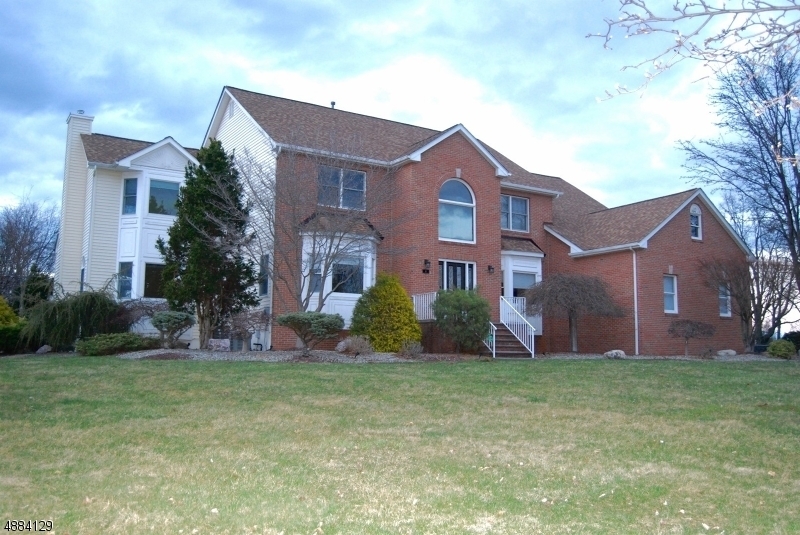 In 2006 had an addition for a 2nd Master BR and upgraded BR, plus a sunroom with skylight, fireplace and bay windows . Has a family room with another fireplace; office or studio with built in bookcases, granite desks and french doors. 4 BR upstairs with large master bedroom with his and her walk-in closet and very open sitting area. Wired with sound system through the house with intercom. Automatic window blinds, and vaulted ceilings. Partially finished basement with exercise room. Huge deck with automatic awning. Professional Landscaping. Come see it, You will love it!